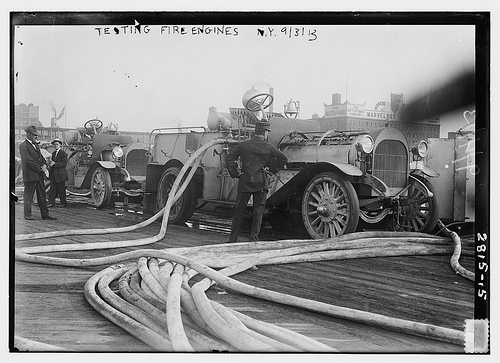 Image above courtesy of Library of Congress, Prints and Photographs Online Catalog. I’ve never been worried about information overload, tending to treat it as a problem of consumption rather than one of production or availability: you don’t have to listen to everything, read everything, watch everything. As a result, when, some years ago, I heard Clay Shirky describe it as “filter failure”, I found myself nodding vigorously (as us Indians are wont to do, occasionally sending confusing signals to onlookers and observers). Filtering at the point of consumption rather than production. 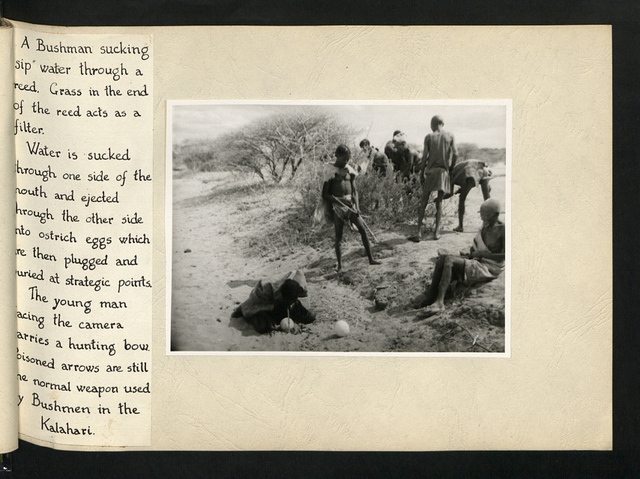 Photo courtesy The National Archives UK. 3. If you must filter “on the way in”, then make sure the filter is at the edge, the consumer, the receiver, the subscriber, and not at the source or publisher. One of the primary justifications for even thinking about this came from my childhood and youth in India, surrounded by mothers and children and crowds and noise. 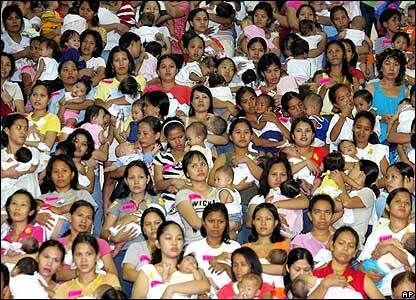 Lots of mothers and children. Lots and lots of mothers and children, amidst lots and lots of crowds. And some serious noise as well. Which is why I was fascinated by the way mothers somehow managed to recognise the cry of their own children, and could remain singularly unperturbed, going placidly about their business amidst the noise and haste. This ability to ignore the cries of all the other babies while being watchful and responsive to one particular cry fascinated me. Years later, I experienced it as a parent, nowhere near as good at is as my wife was, but the capacity was there. And it made me marvel at how the brain evolves to do this. There are many other justifications. Over the years I’ve spent quite a lot of time reading Michael Polanyi, who originally introduced the “Rumsfeld” “unknown unknowns” concept to us (the things we know we know; the things we know we don’t know and the things we don’t know we don’t know). I was left with the view that I should absorb everything like a new sponge, letting my brain work out what is worth responding to, what should be stored for later action, what should be discarded. And, largely, it’s worked for me. Okay, so what? Why should my personal experience have any bearing on this? I agree. Which is why I would encourage you to read The Aha! Moment: The Cognitive Neuroscience of Insight, by Kounlos and Beeman. Or, if you prefer your reading a little bit less academic, try The Unleashed Mind: Why Creative People are Eccentric. 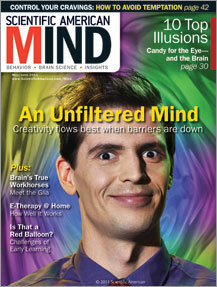 In fact, as shown below, the cover of the latest issue of Scientific American MIND actually uses the phrase “An Unfiltered Mind” when promoting that particular article. We live in a world where more and more people have the ability to publish what they think, feel or learn about, via web sites, blogs, microblogs and social networks. We live in a world where this “democratised” publishing has the ability to reach millions, perhaps billions. These are powerful abilities. And with those powerful abilities comes powerful responsibilities. Responsibilities related to truth and accuracy, responsibilities related to wisdom and sensitivity. Responsibilities related to curation and verification. None of this is new. Every day we fill forms in with caveats that state that what we say is true to the best of our knowledge and ability; every day, as decent human beings, we take care not to offend or handicap people because of their caste, creed, race, gender, age. Every day we take care to protect minors, to uphold the confidentiality of our families and friends and colleagues and employers and trading partners and customers. Sometimes, some of these things are enforced within contracts of employment. All of them, however, should come under the umbrella term “common decency”. These principles have always been at the forefront of cyberspace, and were memorably and succintly put for WELL members as YOYOW, You Own Your Own Words. Every one of us does own our own words. Whatever the law says. It’s not about the law, it’s about human decency. We owe it to our fellow humans. When we share, it’s worth thinking about why we share, something I wrote about here and here. Most readers of this blog are used to having a relatively free press around them, despite superinjunctions and despite the actions taken to suppress Wikileaks. A relatively free press, with intrinsic weaknesses. Weaknesses brought about by largely narrow ownership of media properties, weaknesses exacerbated by proprietary anchors and frames, the biases that can corrupt publication, weaknesses underpinned by the inbuilt corruptibility of broadcast models. Nevertheless, a relatively free press. The augmentation of mainstream media by the web in general, and by “social media” in particular, is often seen as the cause of information overload. With the predictable consequence that the world looks to the big web players to solve the problem. Which they are keen to do. Google, Facebook, Microsoft et al are all out there, trying to figure out the best way of giving you what you want. And implementing the filtering mechanisms to do this. Filtering mechanisms that operate at source. There is a growing risk that you will only be presented with information that someone else thinks is what you want to see, read or hear. Accentuating your biases and prejudices. Increasing groupthink. Narrowing your frame of reference. 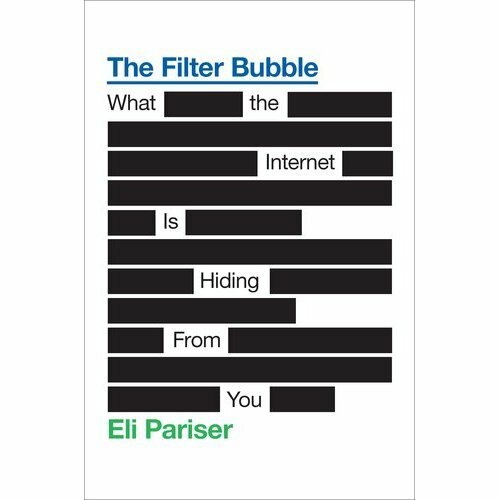 If you want to know more about this, it is worth reading Eli Pariser’s book on The Filter Bubble. Not much of a reader? Then try this TED talk instead. 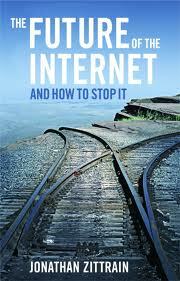 Jonathan Zittrain, in The Future Of The Internet and How to Stop it, has already been warning us of this for a while. Now Google, Microsoft, Facebook, all mean well. They want to help us. The filters-at-source are there to personalise service to us, to make things simple and convenient for us. The risks that Pariser and Zittrain speak of are, to an extent, unintended consequences of well-meaning design. But there’s a darker side to it. Once you concentrate solely on the design of filterability at source, it is there to be used. By agencies and bodies of all sorts and descriptions, ranging from less-than-trustworthy companies to out-and-out malevolent governments. And everything in between. We need to be very careful. Very very careful. Which is why I want to concentrate on subscriber-filters, not publisher-filters. Otherwise, while we’re all so busy trying to prevent Orwell’s Nineteen Eighty-Four, we’re going to find ourselves bringing about Huxley’s Brave New World. And, as Huxley predicted, perhaps actually feeling good about it. More to follow. Views in the meantime? Maybe it’s because of the events leading up to the Digital Economy Bill becoming an Act here in the UK. It’s been a bit like Chinese water torture for many months; then, more recently, as the BPI saw their chance to corrupt parliamentary process and took it, it felt more like being waterboarded. I have had it up to here with people who think the internet was built to become a distribution mechanism for Hollywood and Universal Music and David Geffen. My first objection to the Digital Economy Bill was to do with technical difficulties in proving who downloaded what: the complexity and inefficacy of technical solutions, the guaranteed waste of time and money, the likelihood of erroneous accusations, the unwanted consequence of driving dissent underground. My second objection was to do with the nature of the punishment, completely out of proportion with the crime, possibly illegal in human rights terms and with definite and unnecessary collateral damage on non-participants. My third objection was to do with the manipulation of data, the extrapolation of questionable samples into WMD-like justifications, but then I have to accept that statistics and lies have been kissing cousins for many years now. My fourth objection was to to with the corruption of process, the way the Bill was timed, how debate was avoided, how all parties achieved nothing but grubbiness in the process. 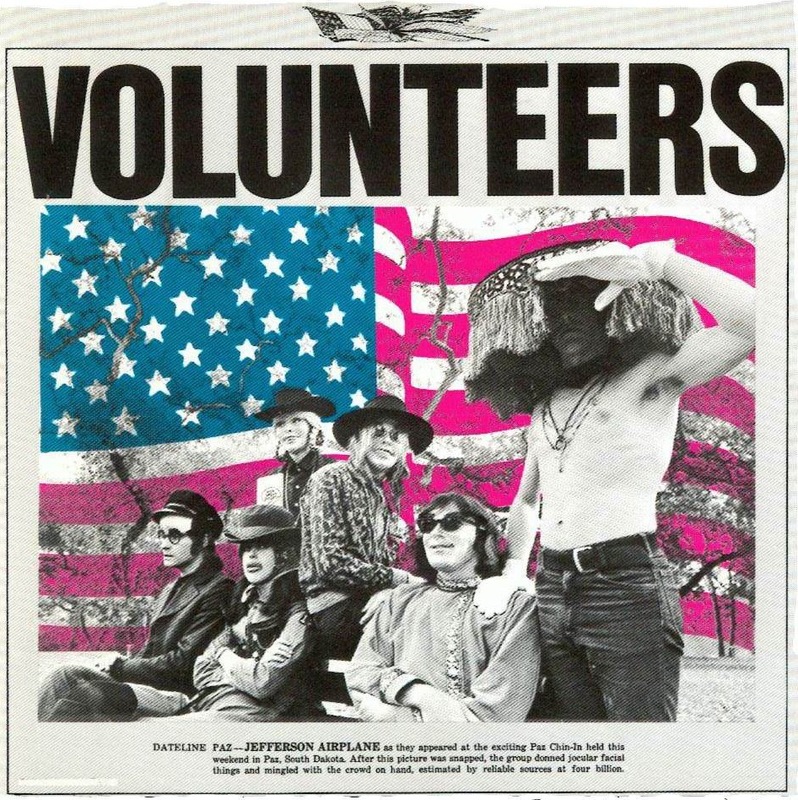 And my final objection was to do with the people involved, the vestedness of their interests. Many of us who opposed the Bill vehemently were quite happy to see legitimate and proportionate action taken against thieves. Legitimate. Proportionate. Against thieves. Sadly the Bill had nothing to do with words like those. What’s done is done. And we will live with the consequences. And learn from them, and maybe even change as a result. The Digital Economy Bill was a skirmish, maybe even a battle, but it wasn’t the war. The War is about the internet: what it is, what it means, what it stands for, how it works, who it works for, and many such related questions. It’s been an interesting week or so in this context. Apple and their SDK terms; Twitter and Tweetie; the Appeals Court and their ruling on the FCC and Net Neutrality; Microsoft and Kin. European telcos catching the Ed Whitacre disease. All this in an environment that has Google and China, Android, the Droid and the Nexus One, all apparently living in perfect harmony. By the pricking of my thumbs….. I think we’re heading towards the cyber equivalent of what Rachel Carson saw and understood when she wrote Silent Spring nearly 50 years ago, having established her reputation with The Sea Around Us. The internet is a sea around us, and we’re polluting it. We’re polluting it for short-term gain, we’re polluting it without really understanding the ecosystem that has evolved around it, the creatures that live in it. The internet is an ocean around us, still somewhat unknown, still being mapped. It is capable of nourishing and sustaining us, capable of supporting and encouraging trade and commerce, capable of giving us incredible enjoyment, helping keep us clean and healthy. The internet is all the rivers around us, capable of being dammed and isolated, capable of being corrupted and polluted at industrial levels, capable of being poisoned, capable of drying up, capable of killing us. We will soon begin to understand what the internet is. What identity means in an internet context. What intellectual property means in an internet context. The establishment of a Web Science Trust may well accelerate all this. When we do learn about all this, we will begin to enact laws. Laws that protect the internet. Laws that make criminals of people who damage the internet. Rachel Carson may have helped us with an understanding of what it is to become stewards of physical space. We now need to become stewards of cyberspace as well. In that sense, the Digital Economy Bill may actually be a godsend, bringing together disparate groups of people with common, passionately held aims. It’s worth reading the whole Adams post, which you can find here. Things that were synchronous are becoming asynchronous as well; things that were asynchronous are becoming synchronous as well; we have a lot to learn about whom and what and when we trust as a result. First you call 1176 households. You find that 136 people actually admit to using file sharing software. Not necessarily illegal, but who cares when you have a good story? Then you take the percentage that those numbers represent, 11.6, and bump it up to 16.3; why? because people lie, of course. Not you. Then you take the 33.9m people published as online by ONS and bump that up as well, to make it 40m. Because statistics also lie. Mash the percentage with the target population. Et voilà, you get to 7m. The 7m illegal downloaders referred to in the onslaught on “illegal file sharing”. Sounds better than 3.9m, doesn’t it? Has a nice whole ring to it. Sounds so much better than 136.